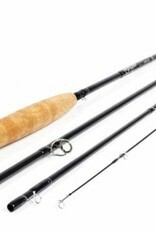 A4 rods are smooth casting rods with a light weight feel. They recover quickly and cast precise loops, yet load progressively and transmit feel extremely well. A4 rods cover a wide variety of fishing situations from small creeks to wide open steelhead and salmon runs.